A recent report from J.D. Power 2016 Hotel Loyalty/Rewards Program Satisfaction Report,SM reveals hotel chains having multiple brands, wide distribution networks, and diverse partnerships demonstrate distinct advantages in satisfying their members. The report measures customer satisfaction by examining six factors (in order of importance): account maintenance/management (23%); ease of redeeming points/miles (22%); ease of earning points/miles (18%); variety of benefits (16%); reward program terms (16%); and customer service (5%). Satisfaction is measured on a 1,000-point scale. Overall satisfaction with hotel loyalty/rewards programs improves to 711 in 2016 from 701 in 2015. Among the highest-ranked brands in the report, satisfaction with their loyalty/rewards programs is influenced by ease of earning and redeeming points, a diverse partnership network, and multiple hotel brands. The ability for a customer to accumulate points and easily redeem them for one of many locations or an upscale property is highly satisfying—and it is a competitive differentiator among loyalty/rewards programs. 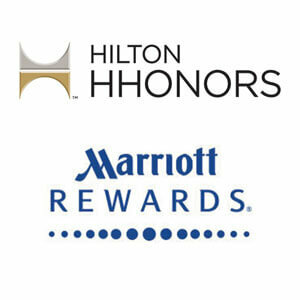 Hilton HHonors and Marriott Rewards rank highest in a tie among hotel loyalty/rewards programs, with an overall satisfaction score of 741 each. Satisfaction with Hilton HHonors improves by 14 points and Marriott Rewards increases significantly by 24 points. This is also the second consecutive year Hilton HHonors ranks highest in this report. Hilton HHonors scores high in the account maintenance/management factor (756) and also performs particularly well in the reward program terms and a variety of benefits factors. 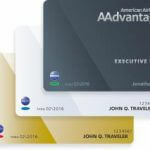 Marriott Rewards scores high in ease of redeeming points/miles (755) and performs particularly well in reward program terms and ease of earning points/miles. 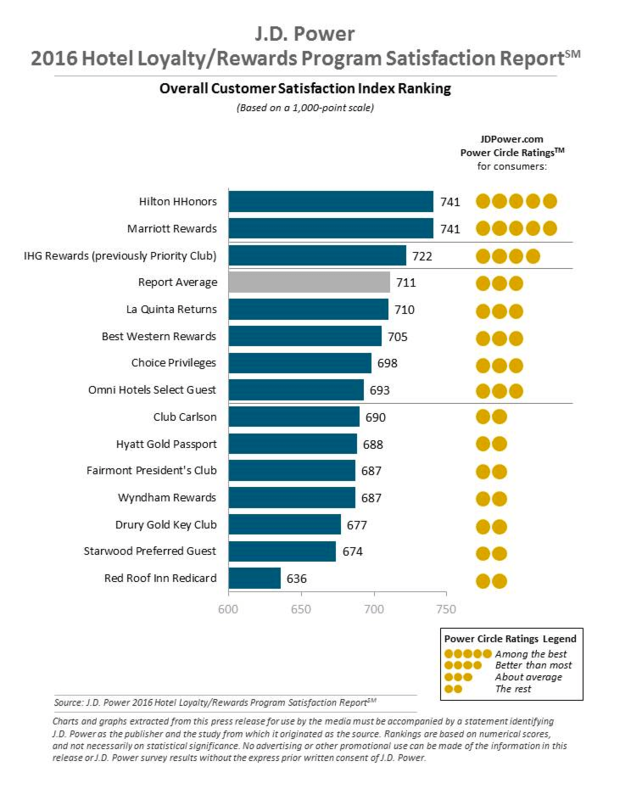 Following Hilton Rewards and Marriott Rewards in the rankings is IHG Rewards Club (722). Following are additional findings in the report. Satisfaction Influences Program Loyalty: Providing an outstanding loyalty/rewards program experience can generate high levels of advocacy and retention. 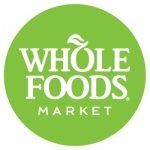 The report finds that 83% of highly satisfied members (overall satisfaction scores of 900 or higher) say they “definitely will” recommend the brand to a friend, relative or colleague, while only 10% of displeased members (scores of 649 or less) say they “definitely will” recommend. Loyalty/Rewards Program Value Remains Consistent: Slightly more than three-fourths (77%) of members say their program is equally as valuable as it was in 2015, and just 11% indicate their program is less valuable than the year before. Positive Reviews and Reputation Are Reasons to Choose: Satisfaction is highest among the 8% of members who choose their loyalty program based on positive reviews—award or online ratings—(829 vs. 815 in 2015) and is second highest among the 11% of members who choose based on the program’s reputation (811 vs. 800 in 2015). Location, Location, Location: Convenience of location continues to be the primary reason customers enroll in hotel loyalty/rewards programs, with 40% of customers choosing their program based on convenience of locations. Customer Insight Group is a Colorado-based loyalty marketing agency leading the way in helping companies engage, keep and grow profitable customer relationships. 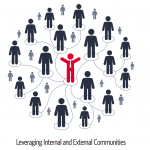 Let us help you cultivate stronger customers relationships.